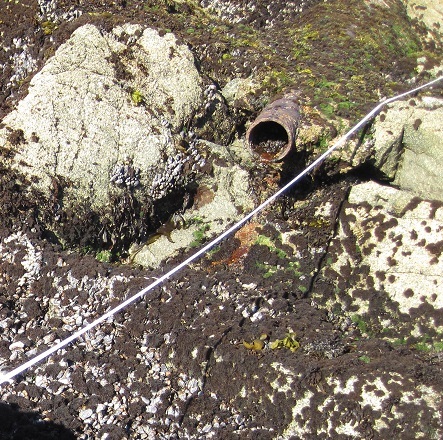 Collaboration with other researchers, and the development of a citizen science program designed to capture trends in sea star populations have made it possible to document the extent of recent sea star wasting. 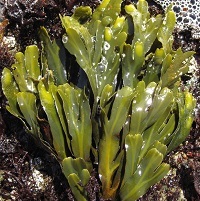 The goal of UCSC's Fucus restoration project is to field test methodologies that could efficiently and effectively lead to recovery of this rockweed alga in areas damaged by oil spills. Monitoring the distribution of introduced species is vital to invasive species management and prevention; the more we understand about how invasive species spread, the better we will be able to prevent future invasions that could have dramatic ecological and economic consequences. Sea Stars along the North American Pacific coast have been dying due to a mysterious wasting syndrome. Our long-term monitoring data, including population estimates prior to the wasting event, in combination with our biodiversity surveys, will allow us to interpret change to communities that might result from severe population declines of sea stars. 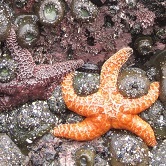 The collected information will also be used to document recovery of both sea star populations and affected communities. 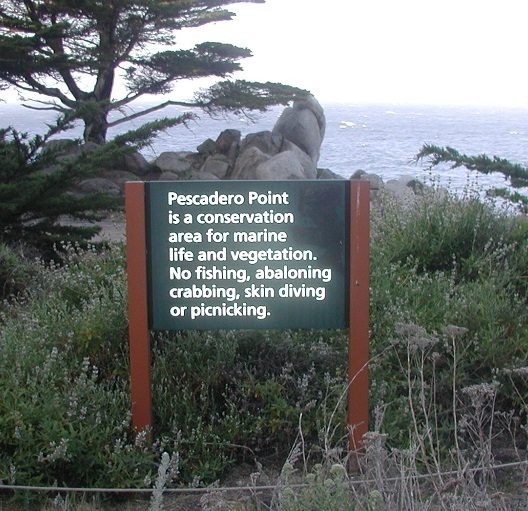 Data from Biodiversity Surveys were among the data sources used in the Marine Protected Areas (MPAs) designation process to identify important rocky intertidal habitat types, and determine the amount of area needed to ecologically represent each habitat type. A re-sampling procedure and accumulation functions were used to estimate the area required to include 90% of the biodiversity of each habitat type. These methods estimate that approximately 0.5 linear miles of rocky intertidal habitat must be encompassed by an MPA for ecological representation. Long-term datasets such as those collected by the Pacific Rocky Intertidal Monitoring program prove to be crucial to not only monitoring and assessing effectiveness of MPAs, but also in the planning decisions of MPA design. In addition, Long-Term Monitoring and Biodiversity Survey sites have been established in the Central Coast, North Central Coast, and South Coast Study Regions as part of the MPA Baseline Program. Data from Long-Term Monitoring and Biodiversity Surveys have been used to compare areas within and outside of Areas of Biological Significance (ASBS). The goals of the studies have ranged from simple assessment of potential impact to baseline characterization of whole regions. Study areas range from a single ASBS (e.g. Duxbury Reef Area of Special Biological Significance) to ASBS locations on a regional scales, (e.g. North Coast Regional Board, Los Angeles Regional Board, etc.). Data collected at our Alcatraz Island site in San Francisco Bay were critical in assessing impact due to the Cosco Busan Oil Spill. Using similarity analyses, data were used to compare species composition and abundance pre- and post-spill at Alcatraz against similar comparisons made at non-oiled reference sites within the same biogeographic region. These comparisons allowed us to conclude that community differences between pre- and post-spill at Alcatraz were substantially different from "expected", based on the level of variation at reference sites. 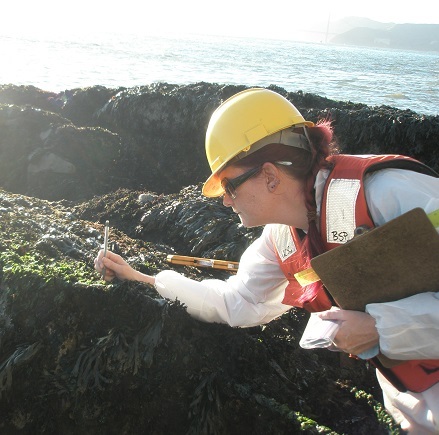 Rockweed, mussels and other long-lived species were more abundant pre-spill compared to post-spill, and opportunistic and ephemeral species increased post-spill. In addition, data from Long-Term Monitoring and Biodiversity Surveys were used in the Natural Resource Damage Assessment (NRDA) process for the Torch - Platform Irene Oil Spill, Dubai Star San Francisco Bay Spill and Refugio Oil Spill.